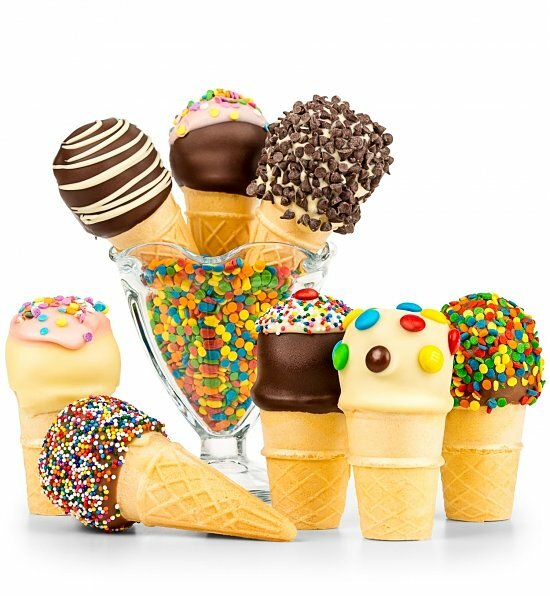 Perfect as a party favor or to send your best wishes on any occasion, this vibrant batch of tender “ice cream cone” cake pops are every bit as delightful on the eyes as they are on the palette. 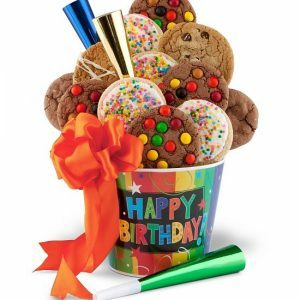 Eight moist cake pops are are hand-dipped by artisans in white, milk or dark Belgian chocolate and decorated with a variety of colorful candies and confection drizzle, taking on the pleasing shape of a colorful ice cream cone. Eight (8) Ice Cream Cone Cake Pops in Chocolate and Vanilla. Each gourmet cake pop is individually wrapped for freshness, and securely placed in a festive gift box. A complimentary card with your personal message is included.